If your floor is developing a mysterious dull black or brown film over it then chances are you've got a cleaning wax buildup on the floor. Floor wax can accumulate in the cracks and crevices or low points of your floor causing an unsightly appearance that hides the beauty of your floor. 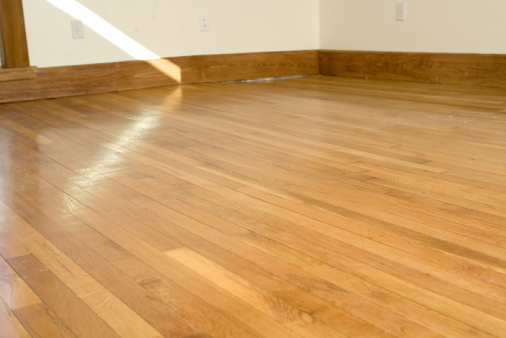 Learn how to clean wax buildup and make your floors sparkle. 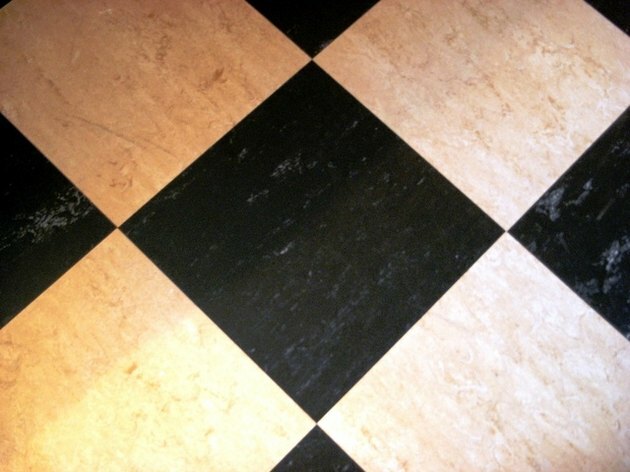 Diagnose that the unsightly black or brown mess really is floor wax. You can do this by scraping at the surface with your fingernail or with a kitchen knife. If this is indeed floor wax, you will see it scrape away easily. Many floor cleaning products have a wax that adds shine and gloss to a vinyl or linoleum floor. These products protect the floor from stains by putting a nearly impenetrable layer of wax on top of the floor so that substances that would stain the floor cannot come into contact with the actual floor. Many newer floor manufacturers recommend users do not use wax products, because the floor has a protective finish already. If the protective finish on your older floor has worn away, or if it's designed to be used with a wax product, then you'll want to strip it away between applications to ensure that you don't get a buildup of cleaning wax. If you already have a problem, follow these steps for removing floor wax buildup. Remove all furniture in the room. If you're working in the kitchen, you might want to consider removing the fridge, especially if you see wax buildup underneath the edges. Sweep the floor thoroughly and mop to remove any stickiness or regular dirt. Allow the floor to dry completely and evaluate visually to make sure the floor wax is gone. You might need to mix up one more fresh batch of ammonia solution to go over the whole floor one more time to be sure the wax is gone. Protect your floor from stains and add shine by reapplying a floor wax product, following manufacturer's instructions and using sparingly. Lisa Russell has been a freelance writer since 1998. She's been published in "Rethinking Everything Magazine," "Playdate" and "Home Educator's Family Times." She has a professional background in education, cosmetology and the restaurant industry. Russell studied early childhood education at Antelope Valley College, and is pursuing a degree in law.